Five years ago I wrote about milk bags. My family drinks a lot of milk, and we buy bags of milk. Canadians will be familiar with the three bags of milk totalling 4 litres that are so common in these parts. 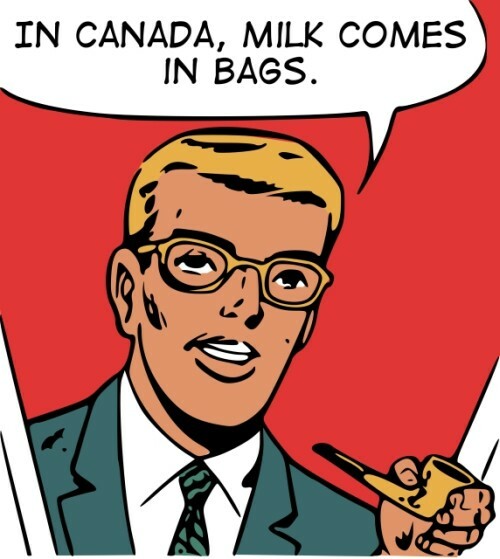 As peculiar as that sounds to an American, it's not the Canadian milk drinker fact they find most amusing. 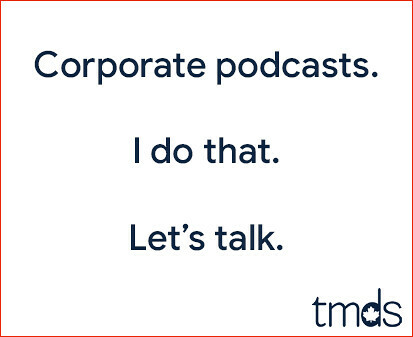 That would be our term for homogenized milk. We call it homo milk. Tell an American you enjoy homo milk and they'll likely giggle or laugh hysterically. Americans call it whole milk, because homo milk has different connotations... not that there's anything wrong with that. Personally, I've never been a fan of homo milk. I was raised on 2% and recently started enjoying 1%. 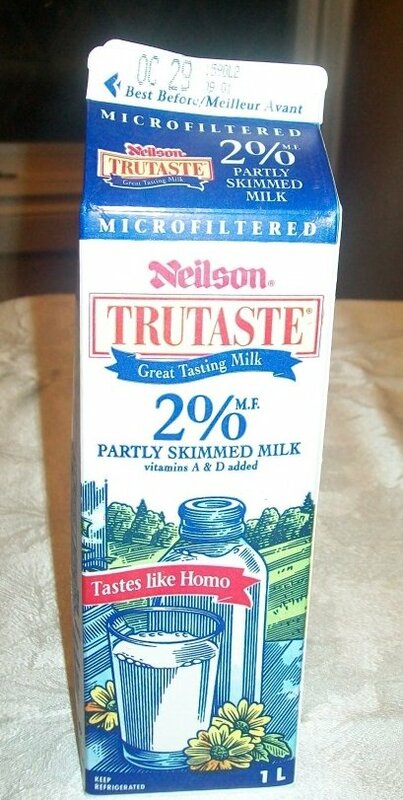 As a result, the below Neilson Trutaste milk that "tastes like homo" does not appeal to me. Some of my US relatives refer to homo milk as whole milk. So why is our milk in bags? I blame the milk mafia for all of this. milk in bags, and perhaps it's not available anymore, was for big families. The bag fit in a chiller and you used a lever to get the milk out. you see them in cafeterias now and not at homes because most families don't drink enough milk. after growing on a dairy farm, I scoff at homo/whole milk. you have to shake up real milk in the morning to mix the cream back in. Homo milk should be renamed Whole milk. You do have to shake the container (bag) to get remnants off the bottom. Homo milk think about connotations. I guess this milk is a little salty? When milk is homogenized, the fat molecules becomes smaller and bypasses the digestive process in the body. The proteins in milk are then undigested and not broken down. This leads the proteins to be absorbed into the bloodstream intact. This may cause the clogging of arteries and cause chest pain. I tried to post a comment about h*mo milk, but your comment filter wouldn't let me use the word that's spelt when you put 'h' 'o' 'm' and 'o' together. That's my assumption anyways. Ladies and gentlemen, homo is not on the banned list! Where's Argie when you need him? Drinking whipping cream? Nintendo dsi r4, you are being unscientific. Homogenization is just to mix up the milk so the fat that migrates to the top (to make cream) is distributed evenly. It doesn't change the size or chemical nature of the fat molecules. Proteins can't be absorbed into the bloodstream intact, what the HELL are you talking about? They are large molecules. Absolutely every protein you eat is broken down into the 20 amino acids and your body re-stitches these the way your body wants into your own proteins. It is fats that lead to hardening of the arteries and deposits that lead to arterosclerosis. I only drink skim milk. I don't like any other milk. Skim milk is the best. Tonight I was on the phone with a friend and overheard her tell someone to get some HOMO milk and I started laughing! She asked me what was so funny. this is awefully wierd and cool at the same time i never EVER in my life heard about "Homo milk" this is amusing and at the same time shocking about this its soo... "FASCINATING>!" When will Milk companies in Canada stop with things like HOMO milk or TASTES LIKE HOMO. Really are you for real? As a gay men I DOT LIKE your connotations. In Europe that would be a lawsuit. Try to spell it out or stop the abbreviations. There is NO HOMO MILK only "homogenized"
Victor shh just have a glass of your homo milk sit back and relax:) atleast we like our milk take that as a plus! Victor calm down. "As a gay man", you should realize that the proper term is homosexual, not just homo. So you can keep your stupid lawsuits in Europe. The prefix homo- just means the same, although people associate it with gay people.